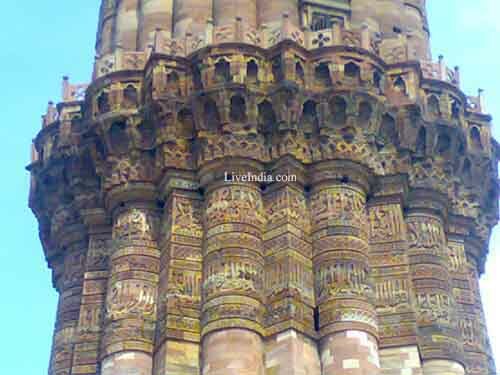 Qutub Minar The origins of Qutab Minar are shrouded in controversy. Some believe it was erected as a tower of victory to signify the beginning of the Muslim rule in India. Others say it served as a minaret to the muezzins to call the faithful to prayer. 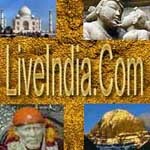 No one can, however, dispute that the tower is not only one of the finest monuments in India, but also in the world. Qutab-ud-din Aibak, the first Muslim ruler of Delhi, commenced the construction of the Qutab Minar in 1200 AD, but could only finish the basement. His successor, Iltutmush, added three more storeys, and in 1368, Firoz Shah Tughlak constructed the fifth and the last storey. 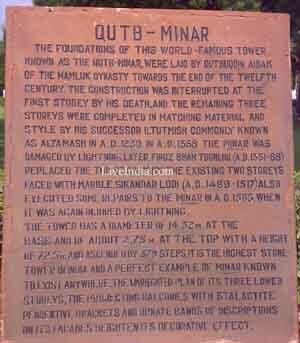 The development of architectural styles from Aibak to Tughlak are quite evident in the minar. The relief work and even the materials used for construction differ. 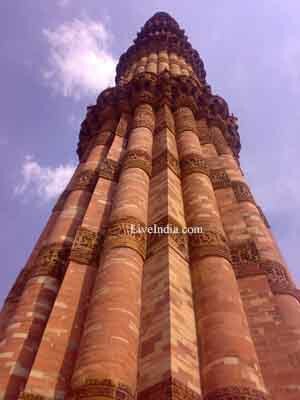 The 238 feet Qutab Minar is 47 feet at the base and tapers to nine feet at the apex. balconies supported by elaborately decorated brackets. by Qutab-ud-din Aibak in 1193 and the mosque was completed in 1197. 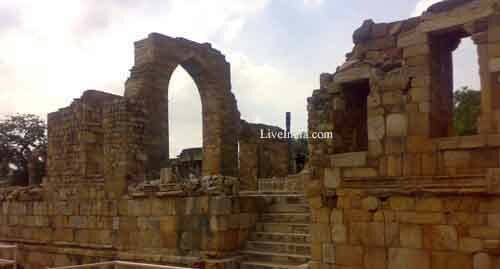 Additions were made to the building by Iltutmush in 1230 and Alla-ud-din Khilji in 1315. The main mosque comprises of an inner and outer courtyard, of which the inner is surrouded by an exquisite collonade, the pillars of which are made of richly decorated shafts. Most of these shafts are from the 27 Hindu temples which were plundered to construct the mosque. 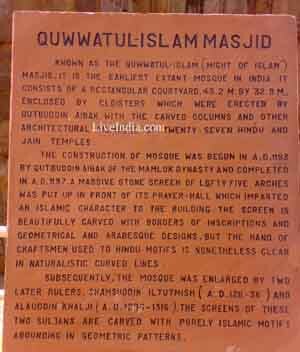 It is, therefore, not surprising that the Muslim mosque has typical Hindu ornamentation. 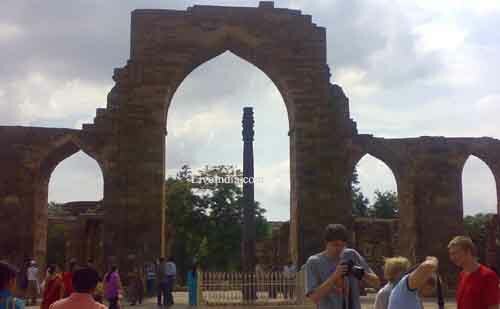 Close to the mosque is one of Delhi's most curious antiques, the Iron Pillar. Dating back to the 4th century AD, the pillar bears an inscription which stated that it was erected as a flagstaff in honour of the Hindu god, Vishnu, and in the memory of the Gupta king Chandragupta II (375-413). How the pillar moved to` its present location remains a mystery. 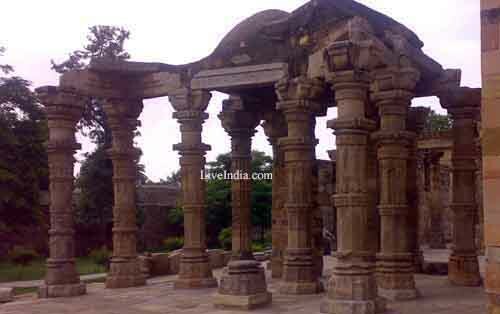 The pillar also highlights ancient India's achievements in metallurgy. The pillar is made of 98 per cent wrought iron and has stood 1,600 years without rusting or decomposing.